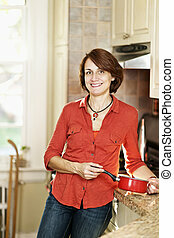 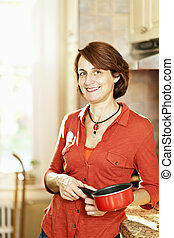 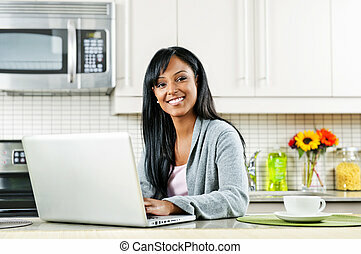 Woman using computer in kitchen. 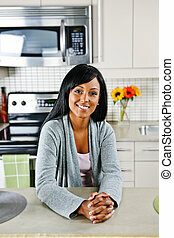 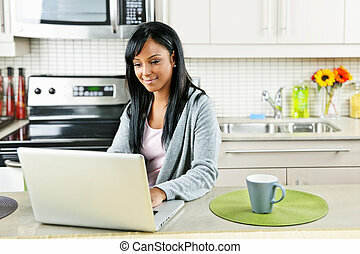 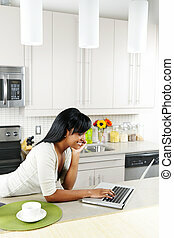 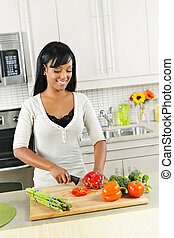 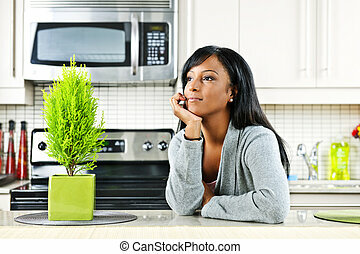 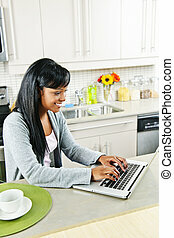 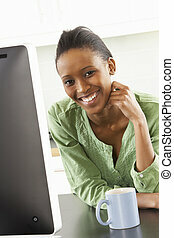 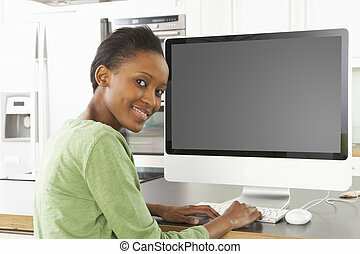 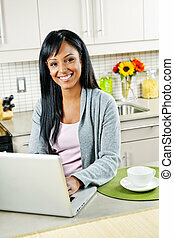 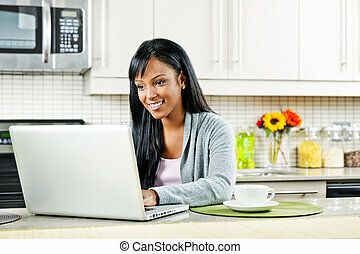 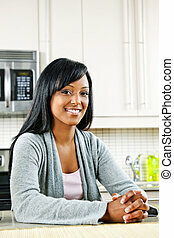 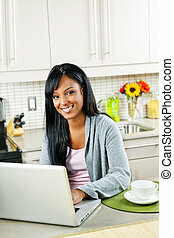 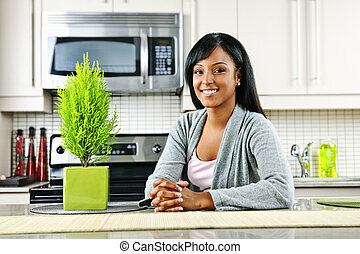 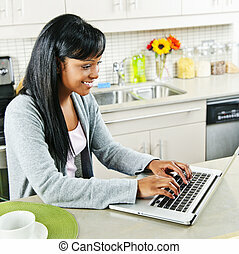 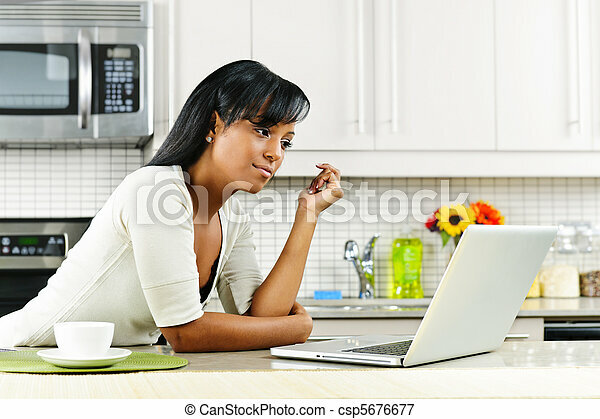 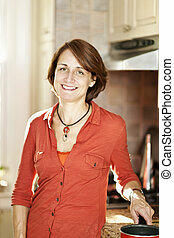 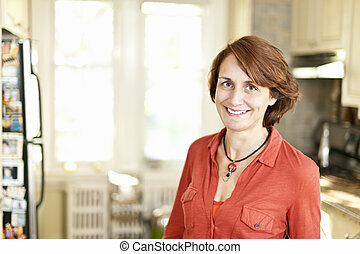 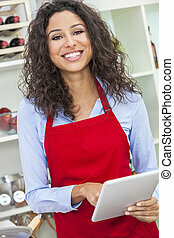 Thoughtful black woman using computer in modern kitchen interior. 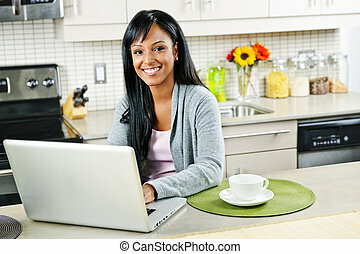 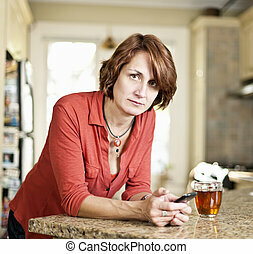 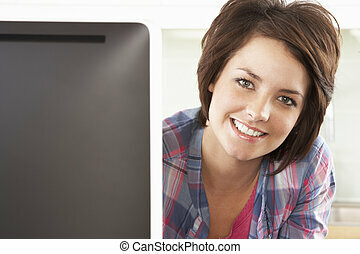 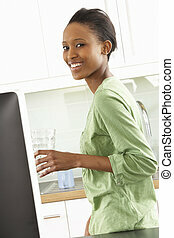 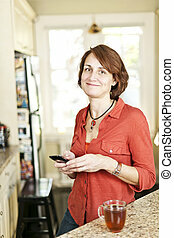 A young woman uses the computer in the kitchen while enjoying a glass of juice. 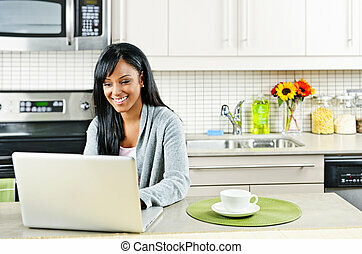 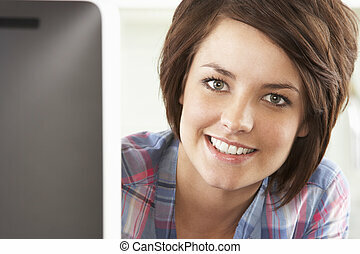 The model is looking at the viewer and smiling.